Recollectr 3.7 is here, and now Recollectr feels, well, a lot less like a beta! In addition to a flurry of bug fixes and styling improvements, 3.7 also brings some major new features. Dark Mode might be the feature users are most excited about. While Recollectr had a dark mode before, it was buggy, incomplete, and hard to read. 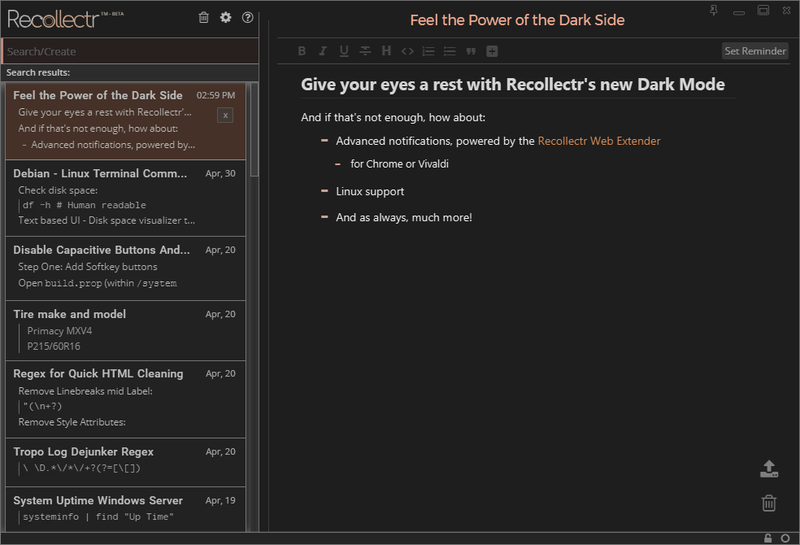 With Recollectr 3.7, Dark Mode comes out of the shadows… or, uh… oh, you get it. All parts of the application now support Dark Mode, with improved readability, image support, and more compared with earlier versions. While users might be most excited about Dark Mode, most exciting from the development side is the new Advanced Notifications system. 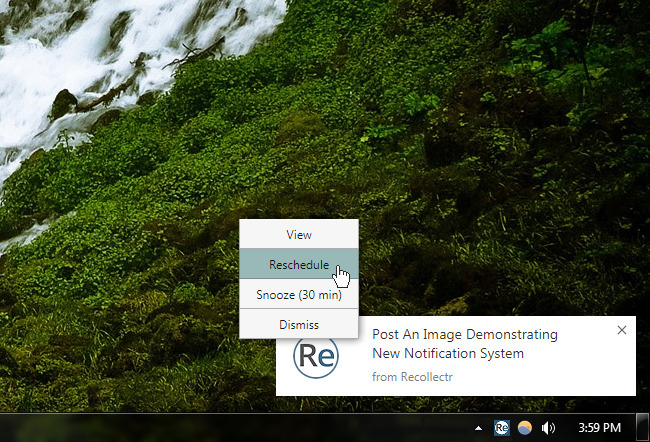 Recollectr’s existing notifications aren’t going anywhere, but now you can opt-in to the Advanced Notification system which leverages the power of Chrome (or Vivaldi) to display notifications in a more unified, polished way. This new system integrates with your operating system’s built in notification system (where available) which means it respects quiet hours. Beware, this also means that you can miss notifications during quiet hours. You’ll still see them when quiet hours end, of course! This new system will provide a platform for future improvements to the notification system and to the Recollectr ecosystem as a whole. To start using Advanced Notifications today, install the Recollectr Web Extender and, of course, make sure you have Recollectr installed too! For a complete list of changes view the changelog for Recollectr 3.7.